Is today’s flat tomorrow’s curved? There’s a whole lot of hype on the go at the moment surrounding the fact that if you want to be ‘on trend’ you need to be buying a curved screen TV rather than a flat one. If you haven’t picked up on this hype yet, you’re soon going to, because over the next 12 months, curved is sure to be hyped as the new flat. The display industry has made some bold moves in the past 10 years, during which time we’ve seen fads come and go and some have even re-appeared. Today is truly a great time to be involved in the technology’s development as we push the boundaries again to incorporate 4K (ULTRA HD) panels, flexible screens and if it can hang in there long enough, stereo 3D. This combination of technology is here today and it’s the culmination of these 3 technologies in a single display that will re-inject the venom into immersive content and how we can experience the world around us. In a nutshell, what’s going on right now is stuff that I could only have imagined when I was a boy. What exactly is a curved TV screen? If you buy a curved screen TV what exactly will you get? Well, without wanting to burst your bubble too much, you’ll get a TV with very slightly bent screen. Will it make a huge difference to your viewing experience? Will it fully immerse you? Probably not. Why? The reason that a curved TV screen won’t make a huge difference to your viewing experience is because, on the curved screens that are available now, the radius of the bend is so small that its practical application is pretty limited. As well as this, the curve on the screen would make it harder to see, so the likelihood is that this isn’t something you’d welcome in your living room. So why the focus on mass-producing curved screens? The apparent slow downfall of stereo 3D TVs has caused all the major manufacturers to focus on mass-producing curved screens. Why? Put simply, their thinking is: if we can’t give the audience glasses-free 3D cost efficiently, the next best thing to immerse them is to fill their peripheral vision. Thanks to advances in OLED technology, flexible and immersive displays are about to become all the rage. You will see them in just about everything over the next few years because filling your peripheral vision is the key to truly immersing yourself in content. You only have to ask Mark Zuckerberg why he just bought OCULUS for 2 Billion dollars to understand that immersion is the future. Or is it? What would it take for a curved TV screen to be really worthwhile? To explain this, I’m gonna get a bit scientific. To achieve a truly different viewing experience, a curved TV screen would need to be spherical rather than just curved. Getting the image right is all to do with the screen composition and thermo forming the material with the pixels integrated to the screen. In order to explain, if you heat the material to form it or stretch and bend it, you heat, stretch and bend the pixels, which means they are no longer sufficiently uniform to be able to create a meaningful image. 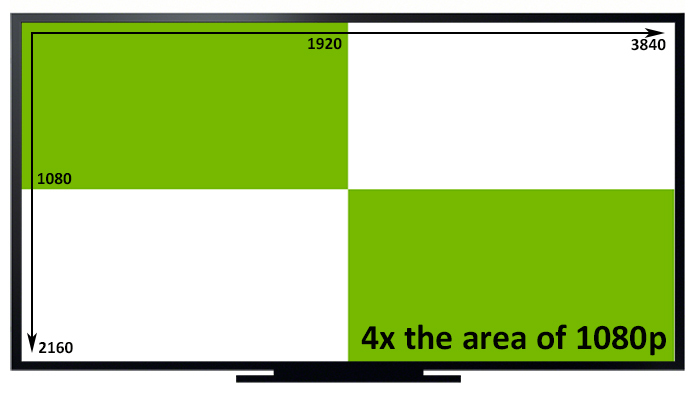 Until this issue is resolved, curved TV will remain cylindrically curved on one axis only. To try this out at home, take a piece of paper and bend it. It bends easily in one direction. Now try to bend it in 2 directions at the same time. It’s simply isn’t possible without changing its composition, once you’ve done that, it aint a piece of paper anymore! No matter how tempted you are to jump on the curved screen bandwagon, it’s worth being aware of the fact that the flat screen revolution is going to be around for a long while yet. Why? At a very basic level, around 12% of the population simply can’t see stereo 3D and a large number of people experience motion sickness in an immersive environment. So, just when you thought it was time to smash up your cobwebbed HD flat screen for something a bit curvier, STOP. Motion sickness plagues many people and is the one thing that will have you getting your duster out or leaving your flat screen just were it is. There are 3 types of motion sickness. First, there’s motion sickness that’s caused by motion and is felt but not seen. Second, there’s motion sickness that’s caused by motion that is seen but not felt. And third, there’s motion sickness that’s caused when both systems detect motion but they don’t correspond. Unfortunately, at this moment in time, this covers pretty much everything that’s going on in the industry, so before you rush out to buy a new curved screen just make sure you are not one of these unlucky motion sickness many. Are you a 3 or 2 dimensional viewer? For the lucky ones who don’t experience motion sickness, of which there are still many, and who see the world in 3 dimensions not 2, you still need to beware. Why? Because we have been socially programmed to watch everything in 2D: flat, mono, boring, assimilated 2D. But the good news is that everything we know about TV is about to change. In fact it already has. Our own company has pioneered the use of spherical displays and has been doing what the TV manufacturers are now trying to do for some time. However, we don’t just bend the screen around you horizontally; we also bend it around you vertically. What does this do? It increases your field of view and fills more of your peripheral vision and so creates greater immersion. The same principles behind the many anticipated HMD’s (Head mounted displays) from the likes of Oculus, Sony, Avegant. Entering the immersive display and simulation market as a new-comer has been both an interesting experience and a challenge. It hasn’t been an easy ride but I have learned loads and still have my sponge ready to soak up much, much more. I believe that there’s still only one true way to fully immerse yourself in content and that is using technology like our Cobra Curved Display. As I see it, IMAX 360 is about as close as you’ll get to being fully immersed. So can you have an IMAX experience in your home? Almost. A Cobra Curved Display or a large custom theatre install will give you close to this experience, but it’s not going happen on a lean budget. We’re still in the early days but everyone is now waking up to the benefits of immersive screen technology. I have seen many carnations of curved screens, including our own product but there is still much more to come and, needless to say, we intend to lead the charge with our upcoming developments (so watch this space). Cobra Curved Display vs Curved Screen TV? What’s the difference between a Cobra Curved Display and a Curved Screen TV? In a nutshell, one is cylindrical and one is spherical. Here you can see a very simple set of illustrations to scale of what a cylindrical 55-inch TV screen looks like versus a Cobra Curved Display spherical screen. Above: A direct comparison to scale of a current 55" Cylindrical TV along side the Cobra Curved Display. Its clear to see from these illustrations that there is a very long way to go when it comes to curved TV technology and I am naturally excited to see it develop. Immersive environments are the future. If you are interested in finding out more about our Curved screen technology please contact us with your question by clicking this link. With the Gadget Show airing on a weekly basis on the box as well opening its doors in Birmingham in April, there are few tech innovators unaware of what a great spot this is to show the world their wares. Dubbing itself as the tech gourmet’s gateway to getting their hands on the newest gear on the market, for many innovators and consumers alike, this really is the hottest tech ticket around. In this article, Andrew McGee of Alba Innovation Centre speaks to Alexander Bradley of Cobra Simulation who shares his personal experience of being filmed and the film not being used then turning down a couple of offers to appear on the Gadget Show and finally what happened when he did get his innovation on the box. Alex’s experience provides great insight for any tech innovator keen to get on this prestigious show, so if you’re hoping to get your hands on the golden Gadget Show ticket, read on. You can check out Alex’s tech innovation here. Andrew McGee is a Commercialisation Adviser at Alba Innovation Centre in Scotland where early stage tech start-up's are provided with one 2 one support across investment strategy, sales and marketing plus, financial modelling to help tech firms get to market more rapidly.